We really couldn’t go a whole week without some story involving the EPA, could we? 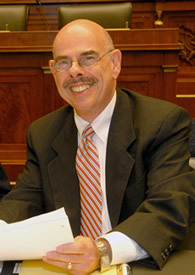 Henry Waxman, Chairman of the Committee on Government Oversight and Reform, issued a third subpoena this week demanding that the Environmental Protection Agency produce un-redacted documents relating to the EPA’s process in denying California’s waiver allowing the state (and 16 other states with similar laws) to regulate greenhouse gas emissions from vehicles. Documents produced previously by the EPA had been redacted with white tape, apparently not even taking the time to use a black marker to hide their documented actions. Some pages were completely blank – plain white sheets of paper. The documents subpoenaed involve the white house, so failure to produce them on the grounds of “executive privilege” is tantamount to an admission that the white house played a role in a decision that should have solely been up to the EPA. If there is no claim to executive privilege there is concern of retaliation against EPA whistle-blowers. EPA Administrator Stephen Johnson’s decision was made against unanimous recommendations from his staff. The reason that previous documents provided the committee were redacted was, in the words of the EPA itself, to avoid “public confusion” over the apparent lack of integrity between what Johnson did and what his agency recommended he do. The Committee has found evidence that EPA officials met with the White House regarding California’s motor vehicle regulations. Subsequently, EPA blocked California from moving forward with its landmark program to address climate change. Unfortunately, EPA has refused to disclose the substance and extent of its communications with the White House. The Committee must have these documents in order to understand how the agency’s decision was made. Thus far the EPA refused to disclose to what extent the White House influenced the California waiver decision. So once again it is ordered to do so -to send clear, un-redacted documents and to not “confuse the public”, but be honest and forthright. That might be a breath of fresh air for the EPA and the public, but I’m not holding mine.